This section is provided specifically for patients to utilize, as a way to learn more about their diagnosis and available treatment options. This information is routinely updated to keep it current and relevant. 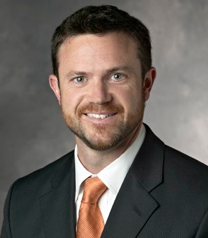 Dr. Vaughn has tried to generalize much of the information to allow for all patients to understand and enhance their understanding of various orthopaedic and sports medicine conditions. Certainly, every patient has a unique situation and the specific details as it may relate to you and your injury or condition, should be discussed with Dr. Vaughn at your appointments. Please contact us with any questions.